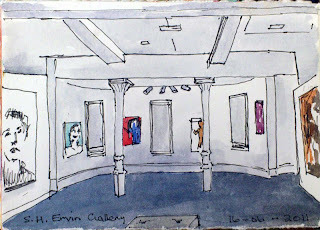 A couple of weeks ago I went with a non-sketching friend to the last day of the Salon des Refuses at the S. H Ervin Gallery. This gallery is on Observatory Hill and belongs to the National Trust. 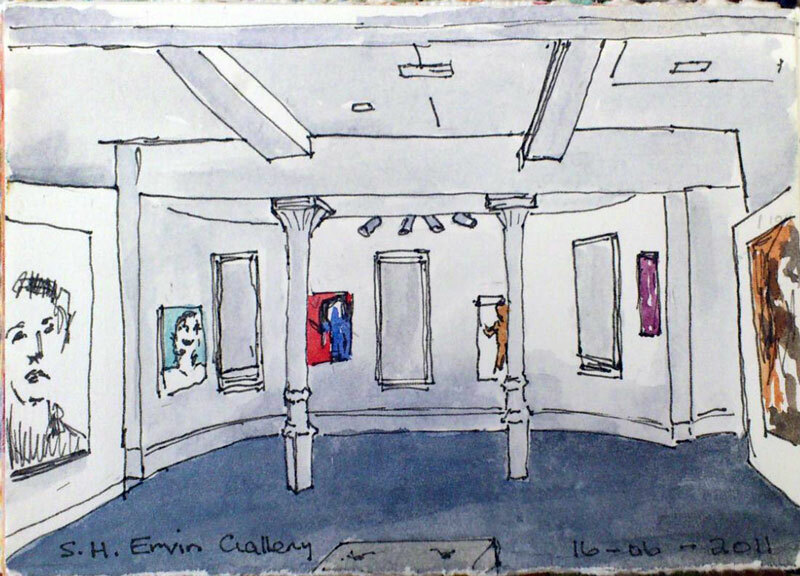 I took the opportunity to do a very quick drawing of the gallery while my friend was listening to the artist's talk. The Salon des Refuses is the 'refused' for the Archibald Prize, which is the major portrait prize in Australia. The ones in the main exhibition at the Art Gallery of NSW can be seen here. Some of the 'refused' are here.